The course instructor is Vivek Chandra, a respected global gas and LNG leader with over 30+ years international global gas experience includes roles in both large and small energy company, as well as government organizations. He has worked on commercial matters with LNG import, LNG export, as well as gas pipeline export projects in North America, Middle East, Europe, Asia, and Australia. 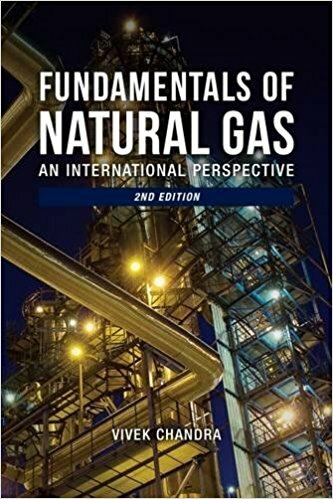 He is the author of Fundamentals of Natural Gas: An International Perspective, 2nd edition, a bestselling hardcover book published by Pennwell. The second edition of the hardcover book was published in March 2017. He has taught the popular Natural Gas Dynamics seminar, held over 30 times around the world and offered online, and has developed apps for the LNG industry. The online version of the course has been viewed by over 250 students and professionals. The book can be purchased from Amazon and reviews can be read by clicking here. For over ten years, Vivek Chandra has instructed a 3 day intensive course entitled Natural Gas & LNG Dynamics. This course has been held ~27 times in locations in Asia, Australia, Middle East, Africa, North America and Caribbean. Over 500 participants have attended the courses from government and private international energy and service companies, government departments, law and financial firms, shipping and transport companies, and consultants. Vivek Chandra is also the CEO and Founder of Texas LNG, a 4 MTA LNG export project in South Texas, USA, to be built in two 2 MTA phases on a 625 acre deepwater frontage site. The Texas LNG project is in the formal application phase of the US Government Federal Energy Regulatory Commission (FERC) permitting process. The project has attracted funding from a major US investment fund and is expected reach Final Investment Decision in late 2019, first production in 2023. He is a Fellow of the Singapore Institute of Arbitrators (SIArb) and creator of GasUnits, an iPhone/Android gas unit conversion app. He manages www.natgas.info, a natural gas information website, and has degrees in Geophysical Engineering (Colorado School of Mines), Petroleum Energy Management (University of Pennsylvania), Energy Economics IFP - French Petroleum School), and Commercial Law (Deakin University Australia). His linkedin biography can be found by clicking here. This 6 module online course provides an excellent summary of 3 day course and the best-selling book (see cover below), and has been completely updated in 2019.